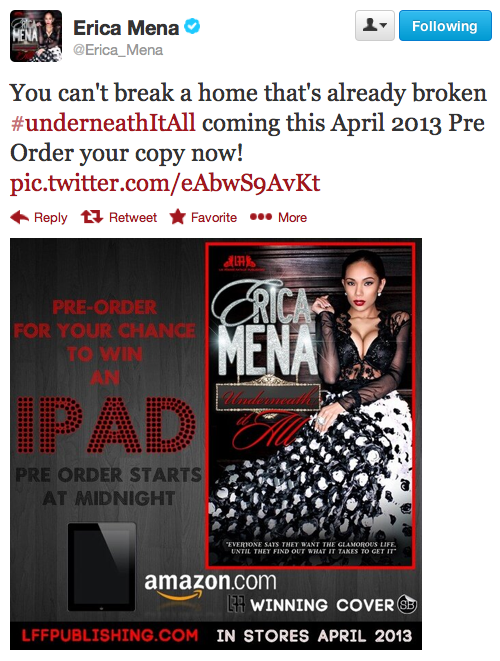 Posted on February 28, 2013 by M.E. 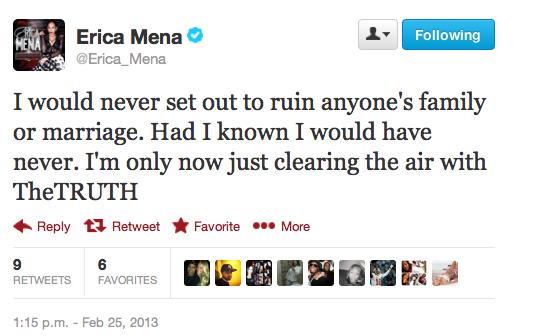 The other day married radio DJ, DJ Envy, admitted on air to having an affair with Love and Hip Hop’s Erica Mena. 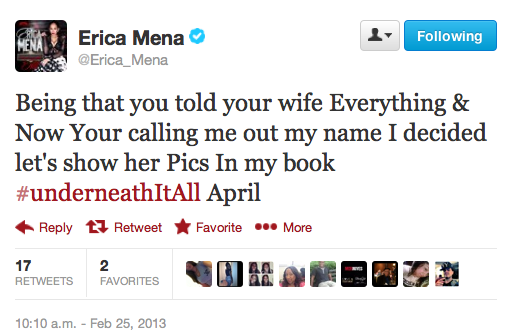 During his confession Envy called Erica a liar and a bird and now Erica is threatening to expose Envy using pictures in her new tell-all book. This entry was posted in Controversy, Entertainment. Bookmark the permalink.